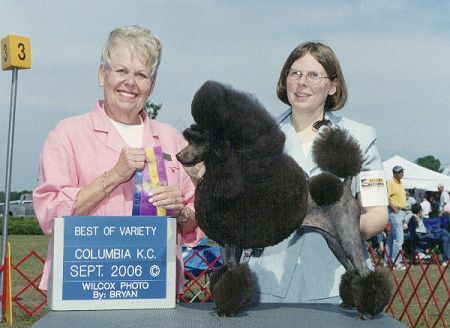 2006 has been a magnificent year for Warming poodles all over the world. 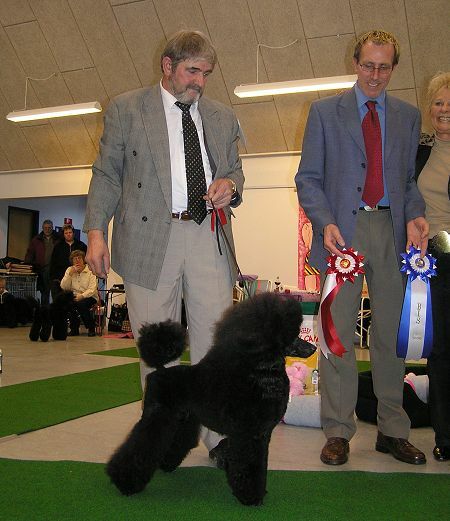 "Julius" (CH Warming Brown Julius) finished his Danish title. 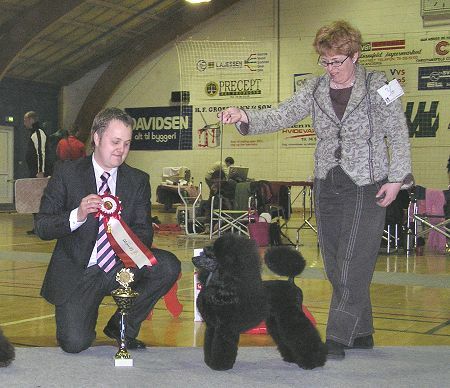 "Oscar" (CH Warming Black Oscar) became Luxemburg Youth Champion and also finished his Danish title. 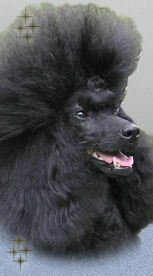 "Maddie" (Warming Black Madelaine) has won BOB twice this year and she only needs one more CC to finish her Danish title. 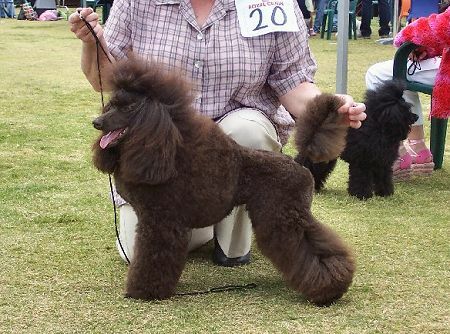 "Kelsey" (CH Warming Black Kelsey) owned by Anita Holm and perfectly handled by Pia Petersen won BIS at a poodle club specialty and she went Copenhagen Winner 2006. 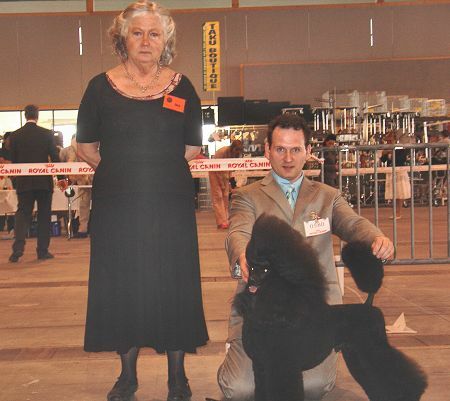 "Fetterlein" (CH Warming Black Zodiac) owned by Jytte and Lynge Petersen became German VDH-champion. 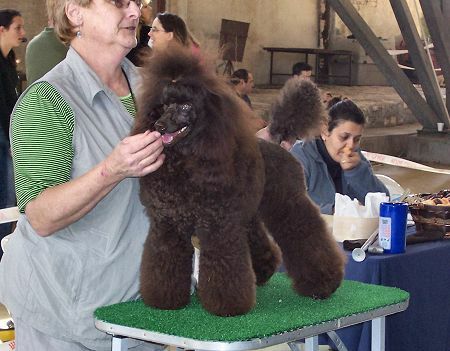 "Muffin" (CH Warming Brown Muffin) owned by dr. Miri Abramson in Israel became Israelian Champion. 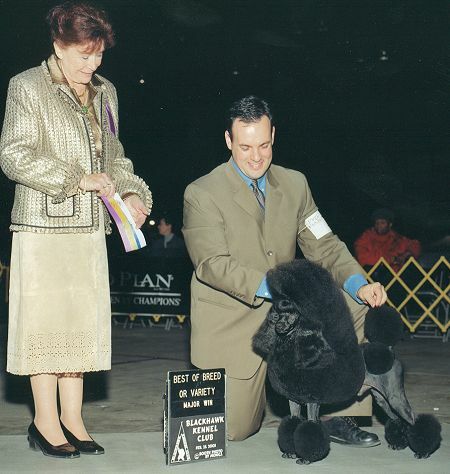 "Fez" (CH Warming Brown Quid Pro Quo) owned by Jessica Young in the US finished her American title. 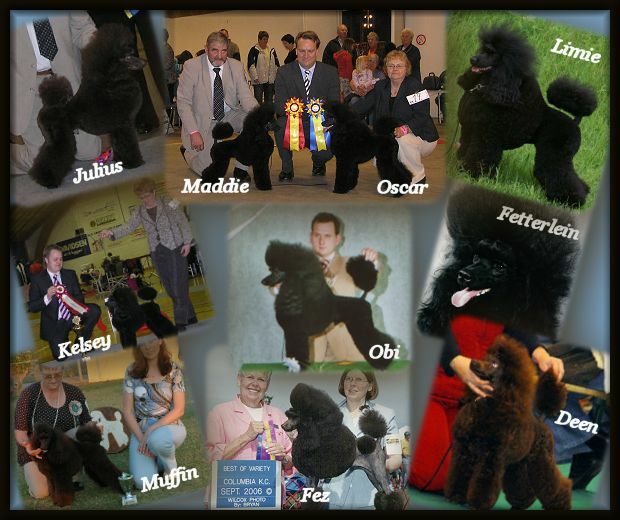 "Obi" (CH Warming Black Killroy) owned by Tineke Wijnant & Guy Gochet in Belgium,became International, French, Dutch Champion and Belgian Winner´06. 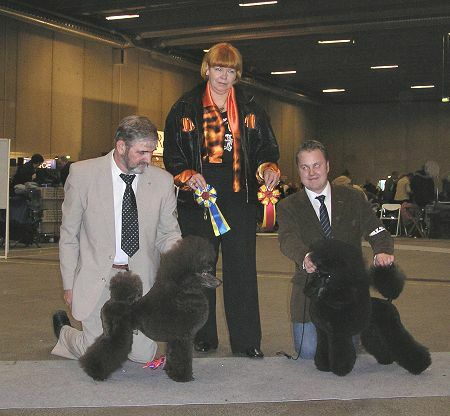 "Deen" (Warming Brown Surprise) owned by Kennel Nathalie´s Pride in the Netherlands became Dutch Youth Champion and Youth Winner of Amsterdam 2006. 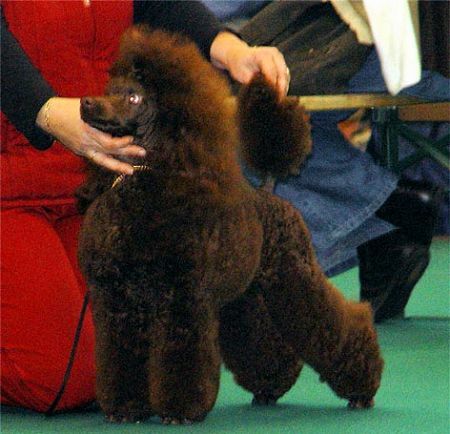 Warming Brown Penelope in Serbia has become Youth Champion. 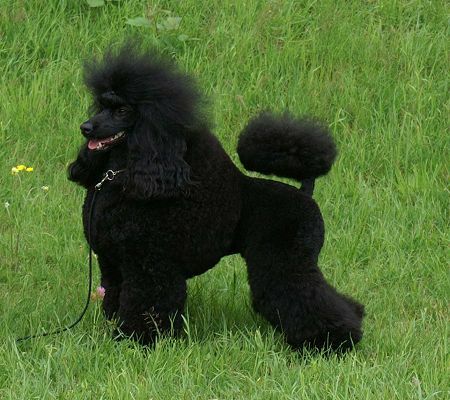 Congratulations to all the owners of these Warming poodles. We are so proud of you! for letting us have this wonderful boy. 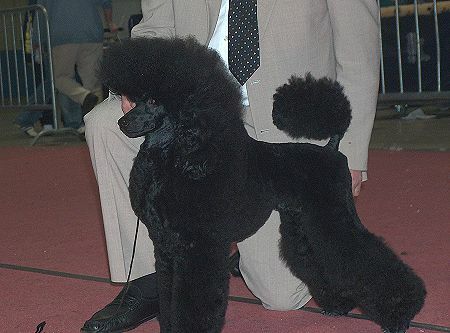 He will surely be a great contribution to our breeding.....and he will enter the Danish show scene in 2007.
them the best of luck along with all the other Warming Poodles shown "out there"
and we will be looking forward to hear news from you. 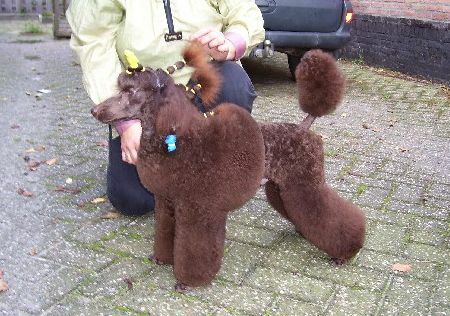 And then of course - thanks to all the owners of Warming pet poodles. really love hearing from you from time to time. till he is 27 months old to finish it. 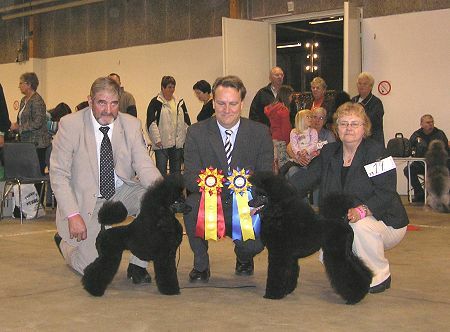 Danish Kennel Club Show in Herning. has just finished her American title! Congratulations to owner Jessica Young! 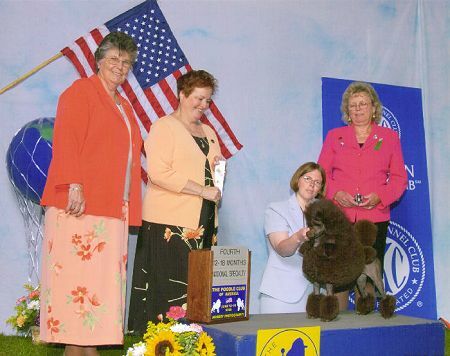 to complete her U.S. championship. Congratulations to owner Jessica Young! 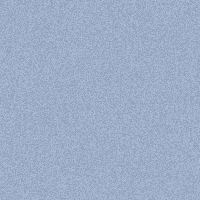 - Fantastic! 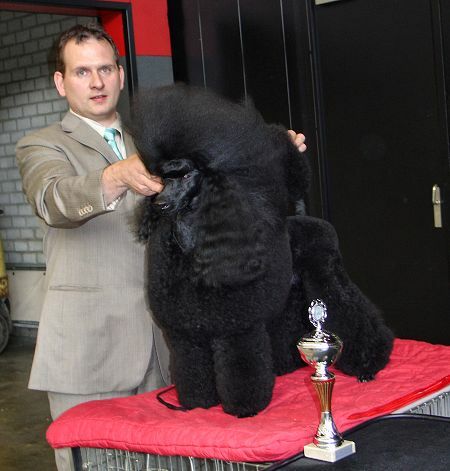 Another BOB and another champion-title for Obi! And then of course he camcame Dutch Champion! Congratulations to all of you down there in Belgium! 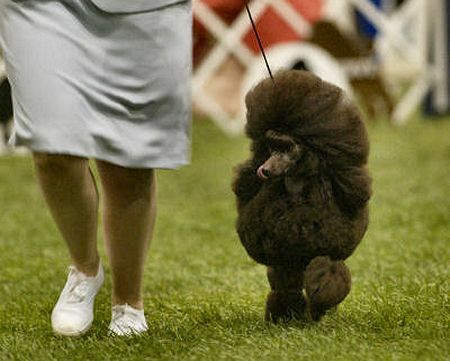 won her first points this weekend at the Greenville, SC shows. another 2 points under judge June Penta. 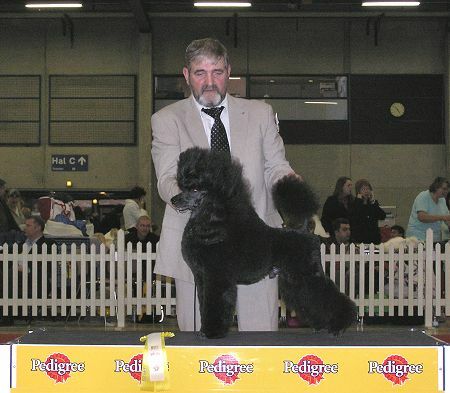 Today he got 2 x CC, Cacib and went BOS at the Brussels Dog Show 2006. Congratulations to Tineke and Guy - well done! 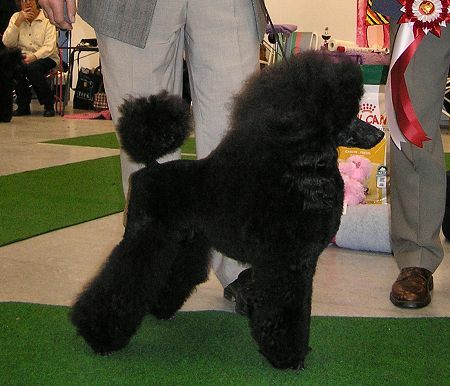 placed 4th in the 12-18 class at the Poodle Club of America. 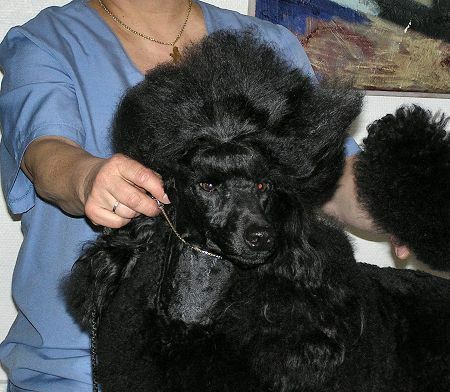 "Limie" has become an International Champion. 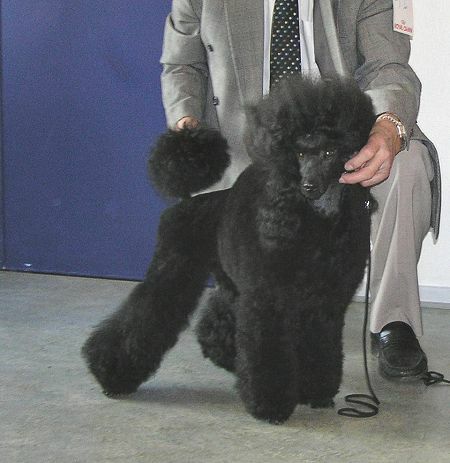 at the Neumünster International Show in Germany. New Warming Champion - third this year! It´s fantastic and we are SO proud! though some say the opposite - Kennel Warming can still produce champions! 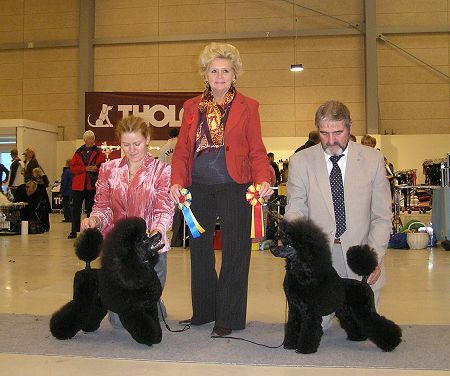 at the Danish Kennel Club International Show in Odense. Well done Miri and Muffin - we are proud of you! went Excellent, Cw, CAC and res.CACIB. sweet little "domestic tyrant". Well done, both of you!